Interest Rate Rising: Could you have a cheaper mortgage rate? Interest Rate Rising: Could you get a cheaper mortgage rate? McCaffety and Saunders are not alone in this opinion as the BBC claim that Alan Clarke from Scotibank is becoming 'more and more confident' that the rate would rise in May. So, if the rate does rise, how could it affect you? Well, the BBC claim*3 that ‘at least four million households with variable or tracker rate mortgages are likely to see their payments increase once again.’ Indeed, a rise in interest rates does increase the cost of borrowing because there is a direct correlation between the rate rising and the amount of repayments on a mortgage. It’s not all bad news though, as those who are saving will see a growth in their earnings. How the potential rise will affect you depends on what kind of mortgage you have, and when your current deal comes to an end. If you’re not sure what type of mortgage you are on, check out our mortgage guide and the information given by MoneyAdviceService*4 that details how different mortgages could be affected. Ultimately, you’ve got to make sure you have the most suitable mortgage deal for your circumstances. If you are actually looking to re-mortgage as your current deal is coming to an end, then you should consider researching whether there are other more suitable deals available to help ensure you’ve got most appropriate mortgage product for your particular needs. However, even if you’re not coming to the end, switching to another mortgage deal can still be a good idea to avoid higher monthly payments providing the monthly savings outweigh any early repayment charges that may apply to your existing mortgage deal, as well as any costs incurred in taking the new deal. Our financial consultants can understand your circumstances and advise you on the most suitable mortgage for you. Not only that, but we have access to a comprehensive range of products from across the market, including some deals not available direct from lenders on the high street4. Guidance through the whole journey – as well as securing a mortgage, we can help you budget and arrange protection for your purchase, allowing you to be confident in your financial decisions. Our financial service is award-winning, and 97% of our recent customers said they would recommend us to friends and family5. With this in mind, you know you are spending time getting valuable advice from the experts. 5Because we have access to the First Complete Ltd panel of lenders, from time to time we have access to exclusive deals which are only available to Your Move and other Appointed Representatives of First Complete Ltd.
6Treating Customers Fairly questionnaire from January 2017 to December 2017 with all customers who purchased Financial Services products from Your Move. 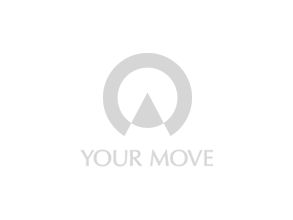 *External Links: Please be aware that by clicking onto these links you are leaving the Your Move website. Please note that Your Move are not responsible for the accuracy of the information contained within the linked site accessible from this page.